Order your tickets now with your credit card or PayPal account! 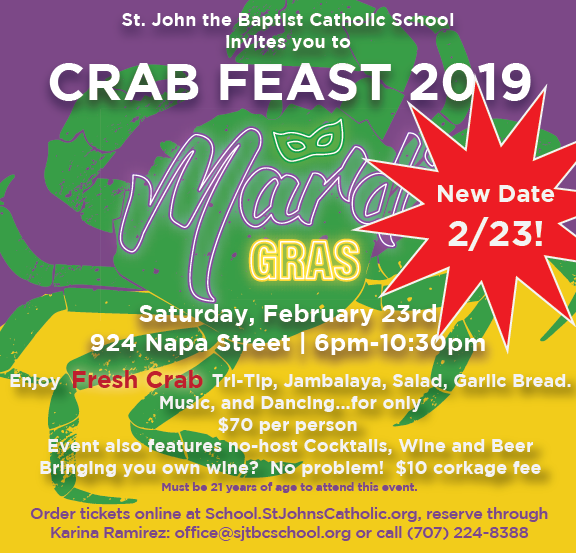 If it is possible, and you would like to be seated with someone in particular, please send us an email with their names to office@sjtbcschool.org. Prefer to order your tickets and pay with a check or cash? Download and print our order form!